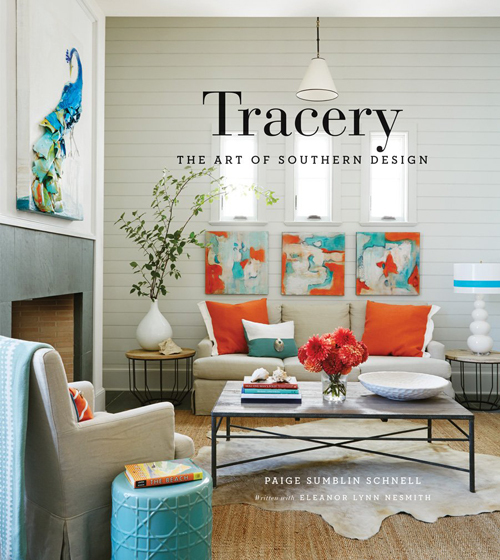 You guys know how much I love Paige Sumblin Schnell and her firm Tracery Interiors (and store in Rosemary Beach, Florida! ), so I was excited as ever to learn they have a book coming out! If this gulf-front Cinnamon Shore, Texas home featured in the book is any indication, it will definitely be one to add to our libraries! These beautiful photos were taken by Jean Allsopp, with styling by Lynn Nesmith and architecture by Mark Schnell. 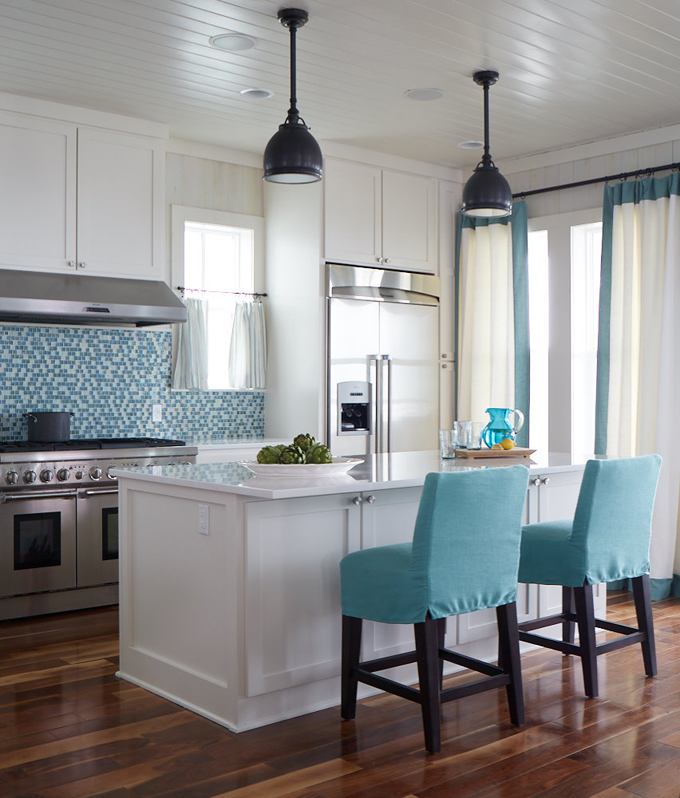 Love those pops of turquoise on the crisp neutral background! Learn how to pre-order signed copies of their upcoming book (and get a discount!) by visiting the Tracery blog here! I had to click through from my reader to see the images nice and big. I love this! 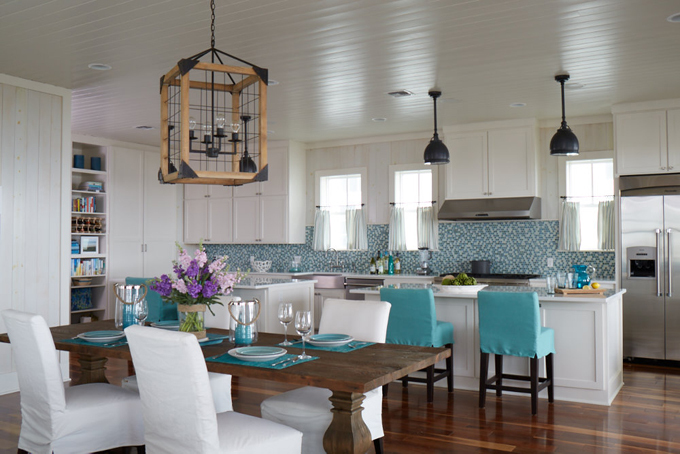 I have to admit that I am tired of little, glass mosaic tile, but it looks great in this space. I really love the drapes, too! 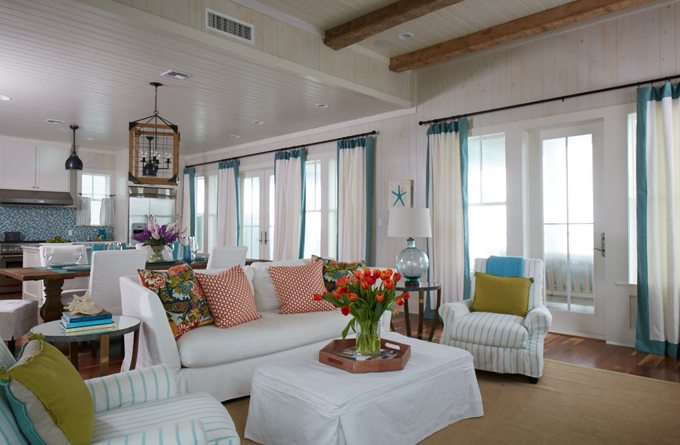 The poorly sewn bottom edges of the bar stool slipcovers distracted from the otherwise beautiful rooms. Details, people,details! 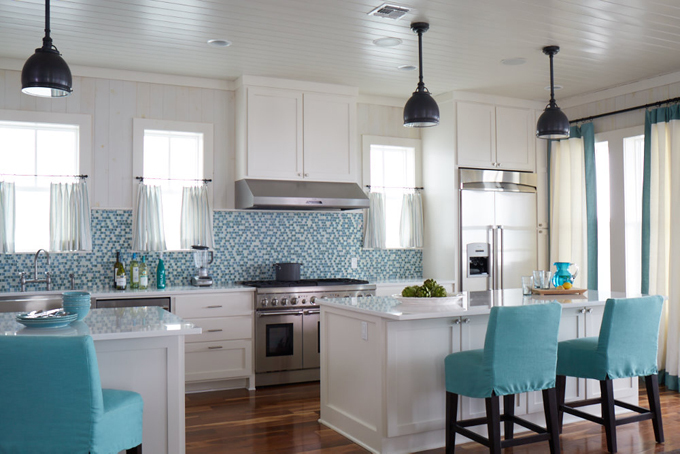 There is a voyage through homes there toward the end of the month, that eventual marvelous if this is on it, i love interior home designs very much. Love those pops of turquoise on the fresh nonpartisan foundation!